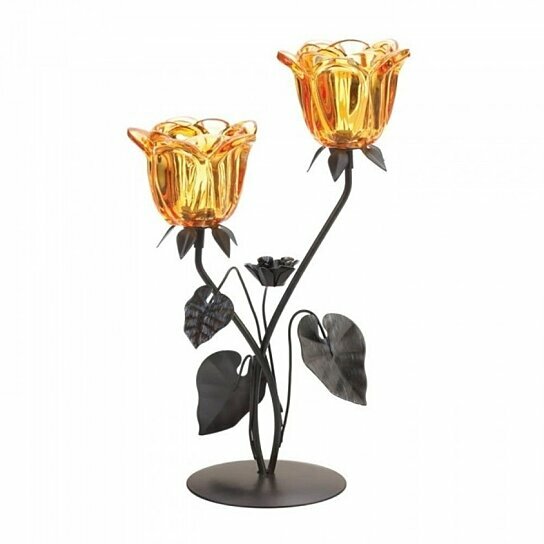 Create a fairytale setting with this double amber flower candleholder. The decorative candleholder features two beautiful glass amber flowers that each hold a tealight candle inside. A gorgeous addition to your dining room or living room, this flower candleholder will bask any space in a soft and luminous glow.